Watch plants grow, flowers bloom and buds open on trees and plants. 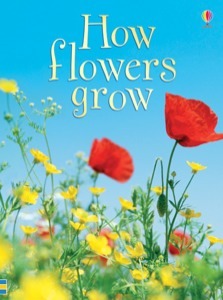 Meet three children and find out what happens when they plant some sunflower and tomato seeds. Find out about bees and why they are always busy. See dandelions flower and watch their seeds carried away by the wind. Colour in an online picture of bluebells. How do flowers grow in dry deserts? How do animals help to spread seeds? Which flower smells like rottng meat? These and other questions are answered with vivid, full colour photographs and short, informative text.